Now that it’s December, it’s the perfect time to start talking about Christmas. Preparing the home for Christmas can be one of the most exciting yet daunting tasks. We’ve put together a blog to help make things easier for you, so you can transform your home into a winter wonderland with minimal hassle. One of the most fun things to Christmas-up is the conservatory. 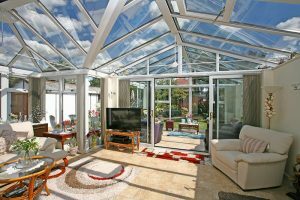 With a Christmas conservatory, the options are endless. Festive food, classy cocktails and live cookery demonstrations can mean only one thing – it’s time to celebrate at Derby’s Trade Windows. You’re invited to its Winter Wonderhome Extravaganza on Sunday, November 11, and admission is free. 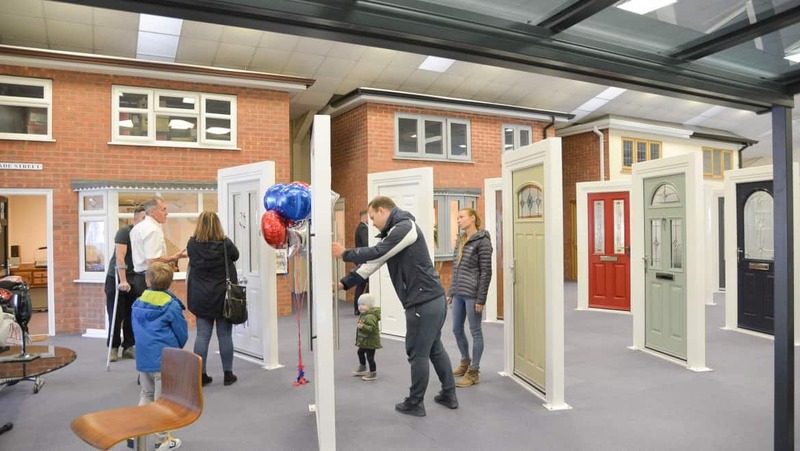 The event, to celebrate 25 years in business, will take place at the London Road showroom and a whole host of family-friendly activities are planned. We’re celebrating 25 years of transforming Derby homes this year! We’ve been transforming homes in and around Derby for an amazing 25 years! Our expertise of double glazed windows first took Derby by storm back in 1993, and we’ve had an incredible quarter of a century since then. 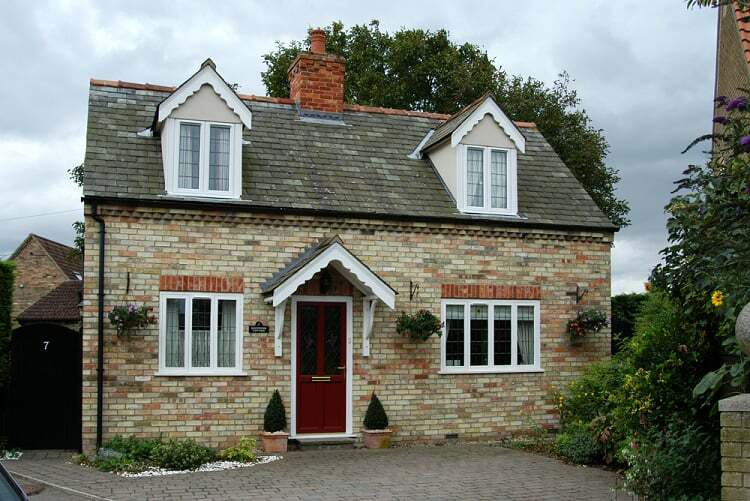 In 1993, Derby needed quality double glazed windows and doors and Trade Windows came along. Armed with just a pencil and ruler, two members of staff and a virtually empty workshop, our founder Paul Brighouse had one dream – to make Trade Windows a success. 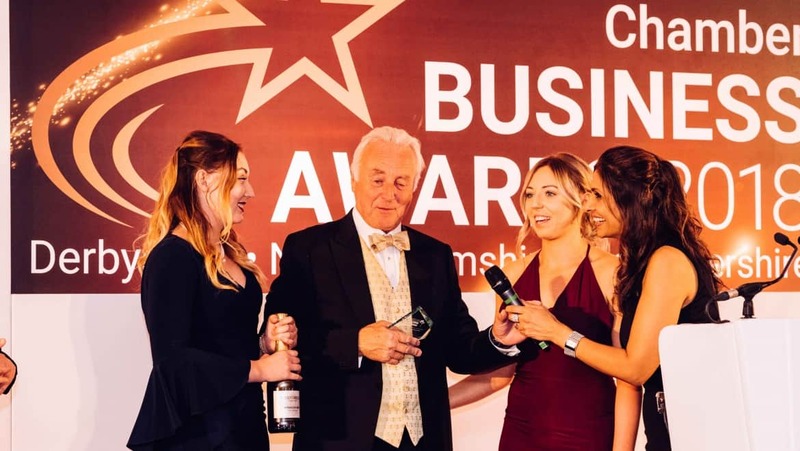 It worked, and in 2018, Paul was recognised for his hard work and success when he won Entrepreneur of the Year at September’s East Midlands Chamber Awards. Derby entrepreneur and multiple award-winner Paul Brighouse often thinks back to when he set up in business 25 years ago. 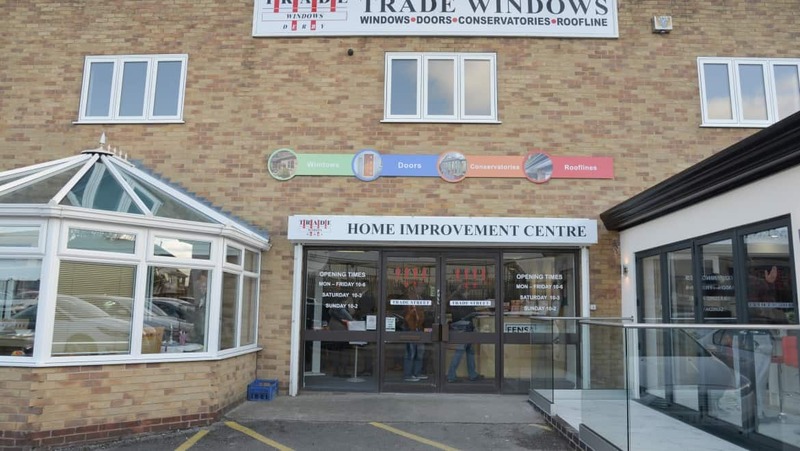 Armed with just a pencil and ruler, two members of staff and a virtually empty workshop, the former bricklayer from Chaddesden, had one dream – to make Trade Windows a success. Paul said: “Twelve months later, we turned over £400,000. When you’re looking for new windows and doors, it’s great see the latest trends on social media, find out all of the information from websites, and get inspiration from online galleries. But nothing beats going into a showroom and seeing the products for yourself. We’ve been showcasing our beautiful home improvement products from our Derby showroom for 25 years. 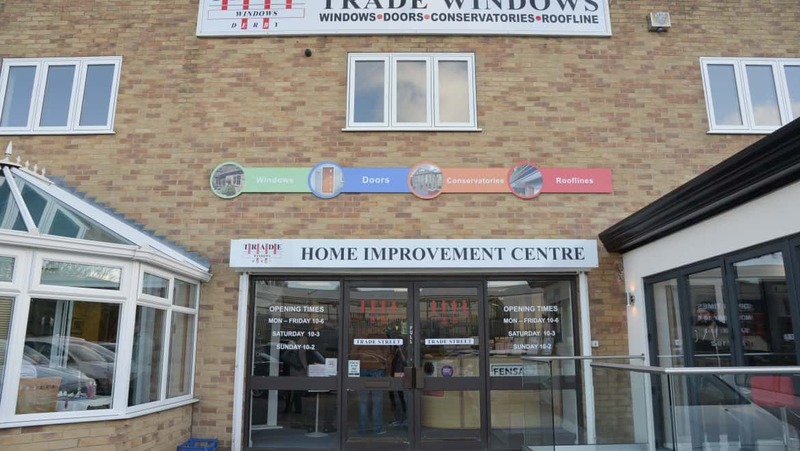 We first opened our doors to our showroom in 1993, wowing people from Derby and further afield into Derbyshire with our windows, doors and conservatories. Our showroom has had many revamps over the last quarter of a century, the most recent being last year, in November 2017. 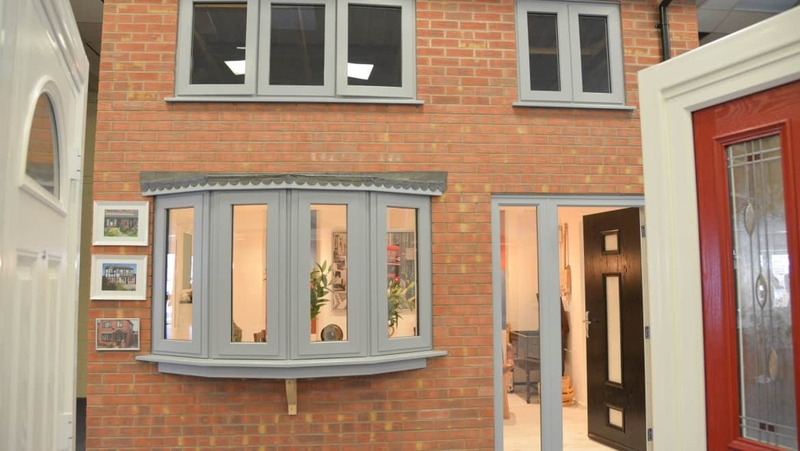 Today, our showroom is home to PVCu windows, aluminium windows and Lumi windows, composite doors, PVCu doors, and Lumi doors, aluminium bifold and sliding doors, PVCu bifold and French and patio doors, and conservatories, glazed extensions and three kitchens. Not to forget our row of full-sized brick homes – Trade Street! It is time to add a splash of colour to your home with new windows in Derby from Trade Windows? Introducing colour into your home, whether it’s with paint or wallpaper, can be any designer’s dream. Correct use of colour can certainly help to transform a tired-looking property, and coloured windows have never been more fashionable. Pick a colour, choose a design and you’ll be celebrating summer in style this year, and you’ll completely transform your home’s overall aesthetic. Doors are one of the most important things to consider when renovating a house or designing a new extension. 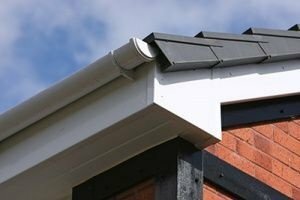 The type you choose will form a key part of your exciting new layout and will improve the look of your home. And here’s the good news. 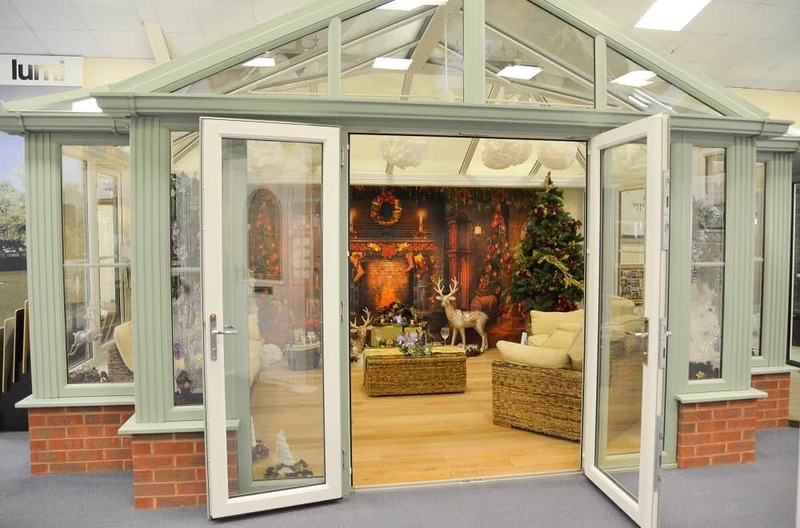 Derby customers will be blown away by the selection of wide span doors we’ve got in our showroom. When you’ve decide on the style of door you like, let our experts share their knowledge to ensure the finished look is exactly what you’re dreaming about. The benefits of wide span doors are endless. They’re stylish, energy-efficient and are now an affordable accessory in everyone’s home. 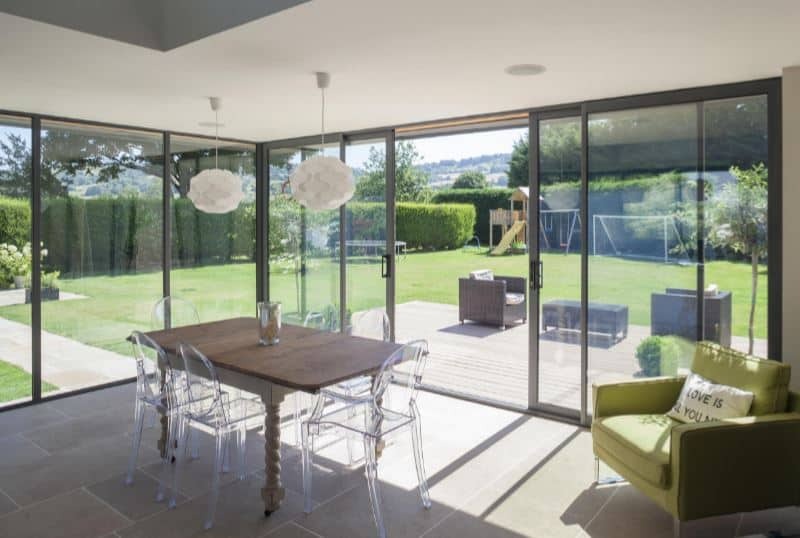 In this blog, we’ll be exploring our wide span door benefits, helping you to choose the right one for you. 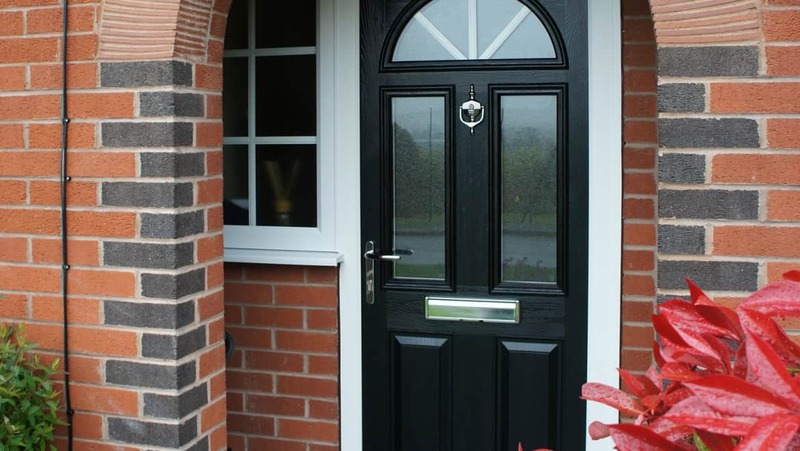 A new front door is a superb way to give your home a completely new look, as well as boost the energy performance and security of your property. Here at Trade Windows, we offer a range of replacement doors in Derby, including PVCu doors, composite doors and aluminium doors. 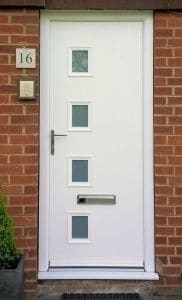 Each door style offers unique style, as well as a whole host of performance benefits to improve the thermal efficiency and security of your home. When it comes to replacing the windows in your home, there are lots of options to choose from. 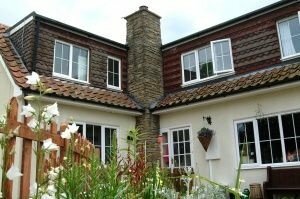 We offer PVCu windows, timber alternative windows and aluminium windows. 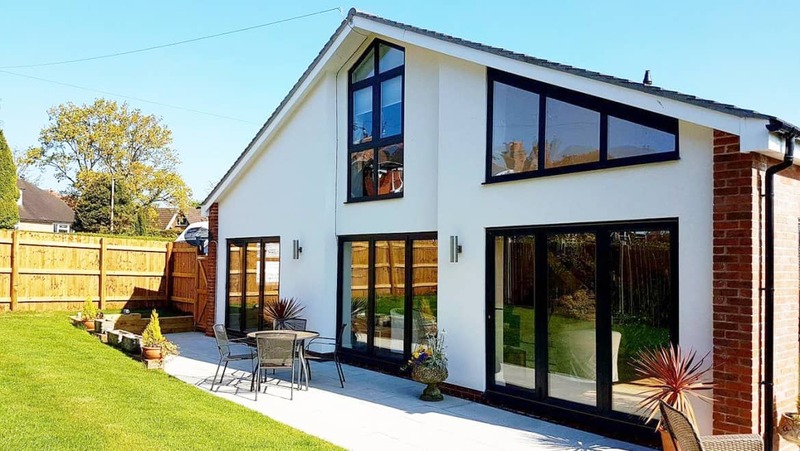 Each window style offers its own advantages, and our ever popular PVCu windows benefit the home in an array of fantastic ways. Adding extra natural light is one of the most invaluable ways to make your home more welcoming and a beautiful place to be. You can do this with a glazed extension in Derby from Trade Windows. Natural light helps your indoors feel more in touch with the peace and tranquillity of nature, and will give your property a more open plan feel, therefore adding an increased sense of space. More sunlight not only makes your living space brighter and more open, it can have a positive effect on your health and well-being, helping with things like how well you sleep, how productive you are, and generally boosting your mood. 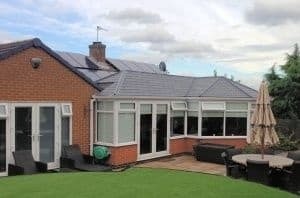 We have a range of home improvement products in Derby to help you make the most of the natural light, which will add style and high-performance benefits worth boasting about.